Making concert booking more manageable. Even with adequate funds, it's difficult for college students to book artists and organize concerts. It's difficult to find out if an artist is available to perform and even if they are, it's difficult to get in touch with them or their representation. 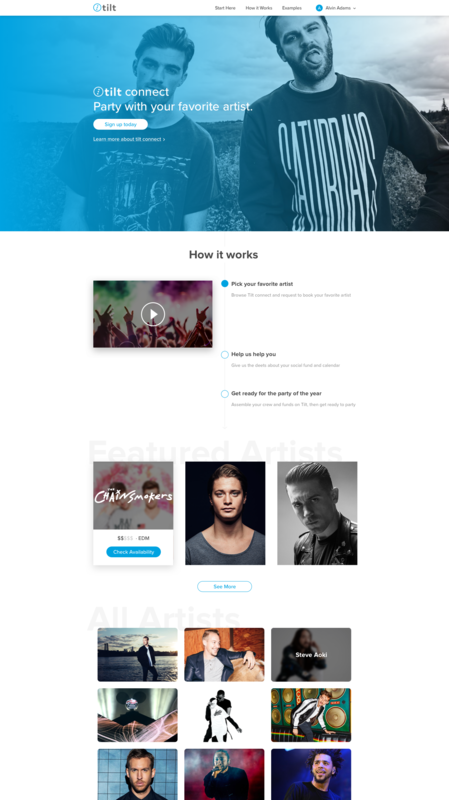 We designed Tilt Connect, a microsite that removes the headaches and hassle of planning a concert on campus. 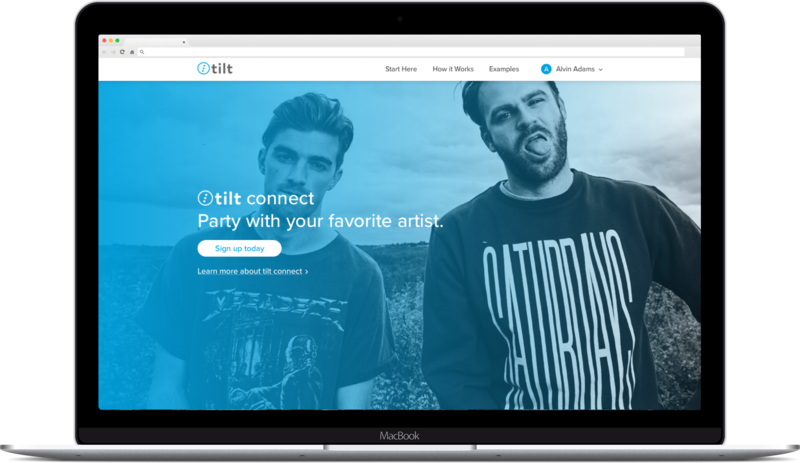 Students can browse Tilt's curated list of artists and then work with Tilt to book their favorite(s). An easy to use site with plenty to offer. Working closely with growth marketers at Tilt we had two missions for this site: create a clear understanding of how the booking process works and make it dead simple to start. We worked hard to communicate cogently and design towards the goal of generating qualified leads. Working with an established brand means respecting their existing style and tone. In response to the client's ask for a visually engaging experience that remained on brand, we created iconography and explored new color treatments to enrich the content.